My kiddos have gone shopping with me since they were infants. As part of their shopping ritual, we've always visited the toy section. The kiddos know we aren't buying toys. They know not to ask. This has been our rule since Dinomite was born. However, they know they can take a few minutes to push buttons, play, and/or study new toys they may be interested in. They know when I start my five minute countdown, I mean it. We've never had any problems. The kiddos don't meltdown or scream. We look. We play. We leave. If they see something they really like, they know they can tell me to add the item to their wish list. The kiddos know they receive gifts on their birthdays, Easter, and Christmas. It is extremely rare for them to receive a gift, especially a toy, from us (or anyone else) at any other time during the year. On their birthdays, they receive one big gift from us. It has become tradition to let them choose their gift. The kiddos also have a combined birthday bash once a year, All four sets of grandparents are invited, as well as young cousins, aunts, uncles, and friends. Due to Bulldozer's life threatening allergy to adhesives, we've always had to send out a special card with invitations, requesting all gifts be bagged instead of wrapped, and that the toys be adhesive free. 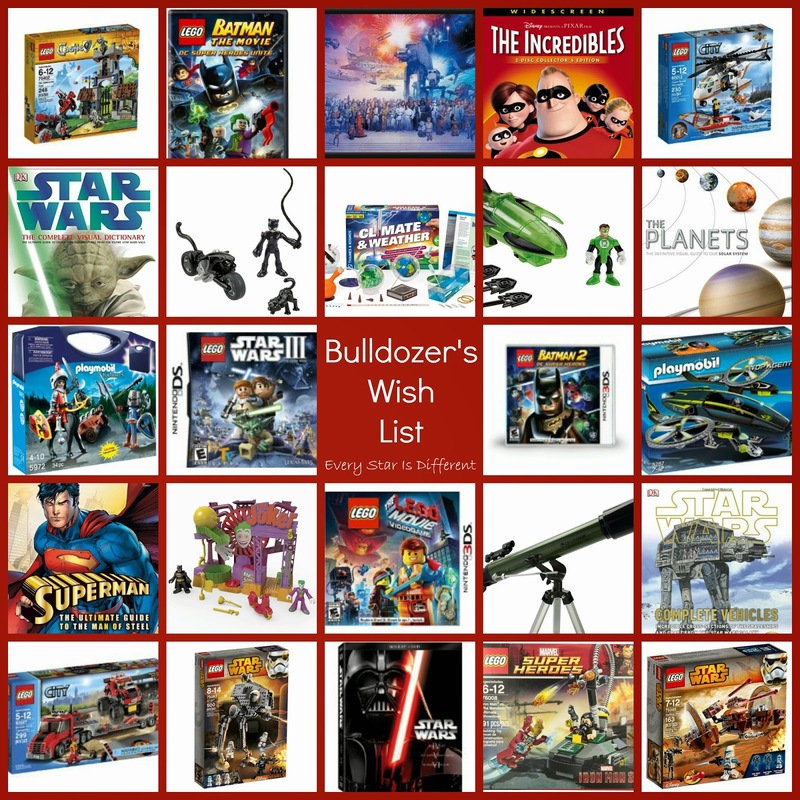 Friends requested a list of adhesive free gift ideas the first year we celebrated Bulldozer's birthday, and thus began our Wish List tradition. At Christmas time, we celebrate with all four sets of grandparents. Grandparents always ask for Christmas gift ideas. We always refer them to the kiddos' wish lists. Easter baskets and eggs are filled with toys in our home, due to food allergies. Most often, I purchase one to two items for each kiddo for their basket. 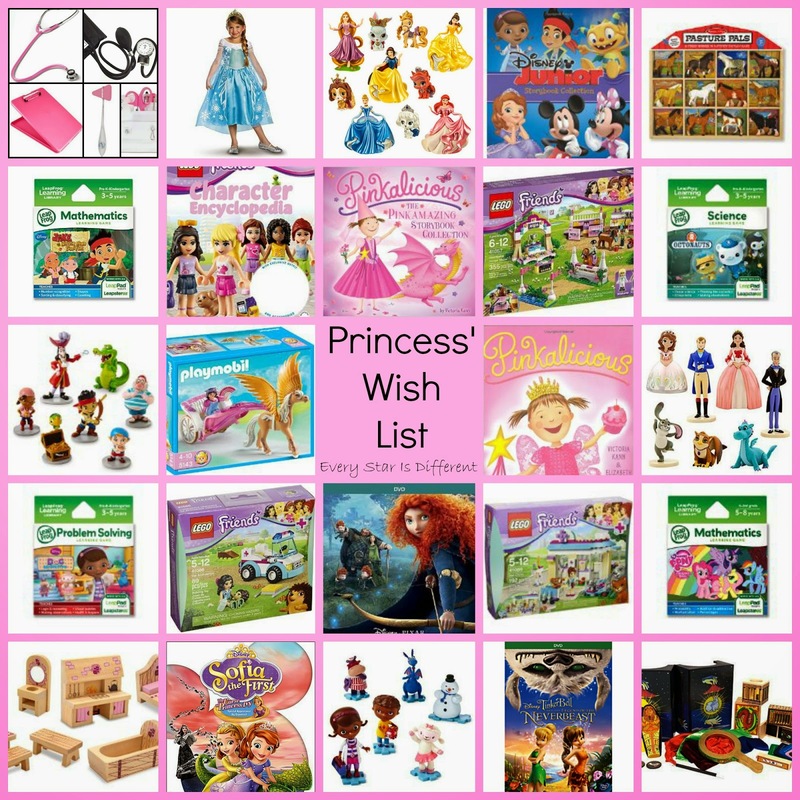 Items are selected from their wish lists. This makes my life so much easier. They're always happy. As the boys have grown older and their autism become more apparent, selecting gifts for them has become more difficult. They both have their obsessions, their sensory cravings, sensitivities, and destruction tendencies. 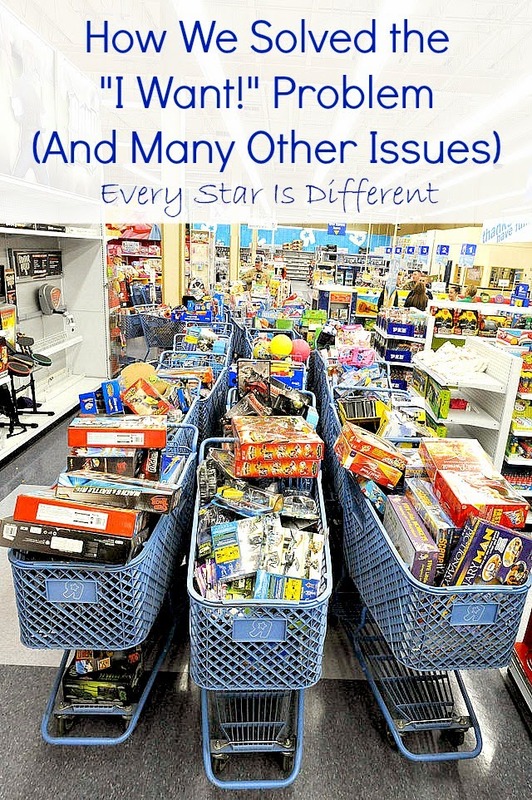 One can't just purchase a popular toy at the store, and expect the gift giving to go over well. The more time passes, the more specific the obsessions and tendencies have become. Grandparents have started to depend heavily on the kiddos' wish lists to ensure happy birthdays and holidays. As the kiddos observe that grandparents and other relatives give them gifts that they truly enjoy and have asked for, relationships begin to form, in a way that hadn't been possible before. It's amazing what a simple gift related to an autistic obsession can do, especially when one is willing to give something they don't understand or can't pronounce. (I remember Dinomite's dinosaur and prehistoric creature obsession well.) The kiddos do remember who gave them each gift. When Princess arrived, we quickly realized she had PTSD episodes any time gifts were given, especially at Christmas time. Knowing gifts would be something from her wish list, brought her comfort and strength. She has since worked through related trauma, but is still anxious around occasions where gifts are given. Surprises are the worst kind of gifts for her. Princess also has her own destructive tendencies and triggers. When gifts are selected from her wish list, we don't have to worry about needing to take an item away or dealing with a future behavioral episode that is a result of an unexpected gift. Sunshine is child number four, autistic child number three, and RAD child number two. She has obsessions, sensory cravings, sensitivities, destructive tendencies, and triggers. Plus she has all of Dinomite's Bulldozer's, and Princess' hand-me-down toys, movies, books, etc. to choose from. Finding gifts that work for Sunshine, that she doesn't already have is quite difficult. Selecting gifts from her wish list ensures she'll remain safe, she won't injure others, the item will actually be used, and won't set off extreme behavioral issues. It is amazing how much we rely on these wish lists to help our kiddos, help ourselves, and help others develop closer relationships to them. We are so thankful and appreciative to those who use them. 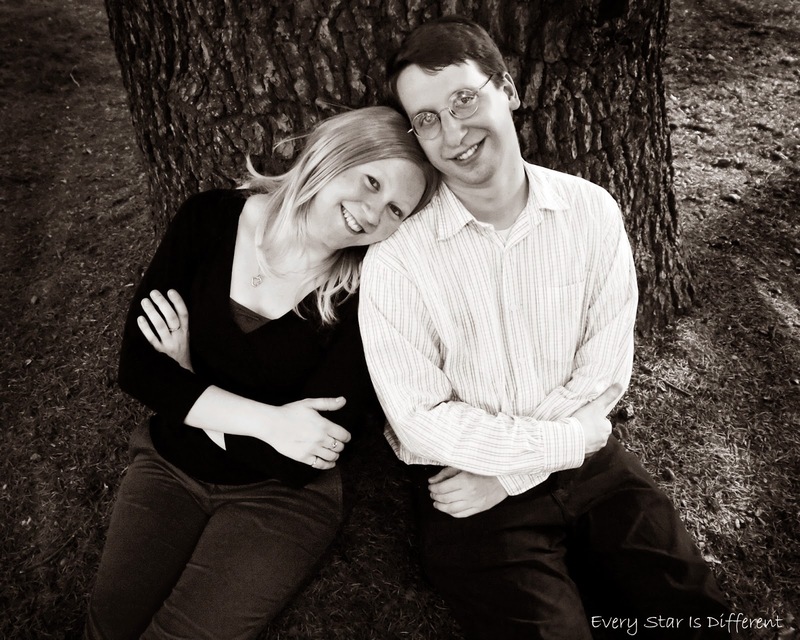 The kiddos update them regularly and are THRILLED when they receive an item from their lists. Usually I post these wish lists on my personal blog, but I'm in the process of transitioning to just one blog, thus they're being shared here. The kiddos wish lists are quite lengthy. There are several reasons for this. First, grandparents and others want a variety of wish list gifts to choose from. If I told the kiddos to choose only five to ten items, they would all be the same. 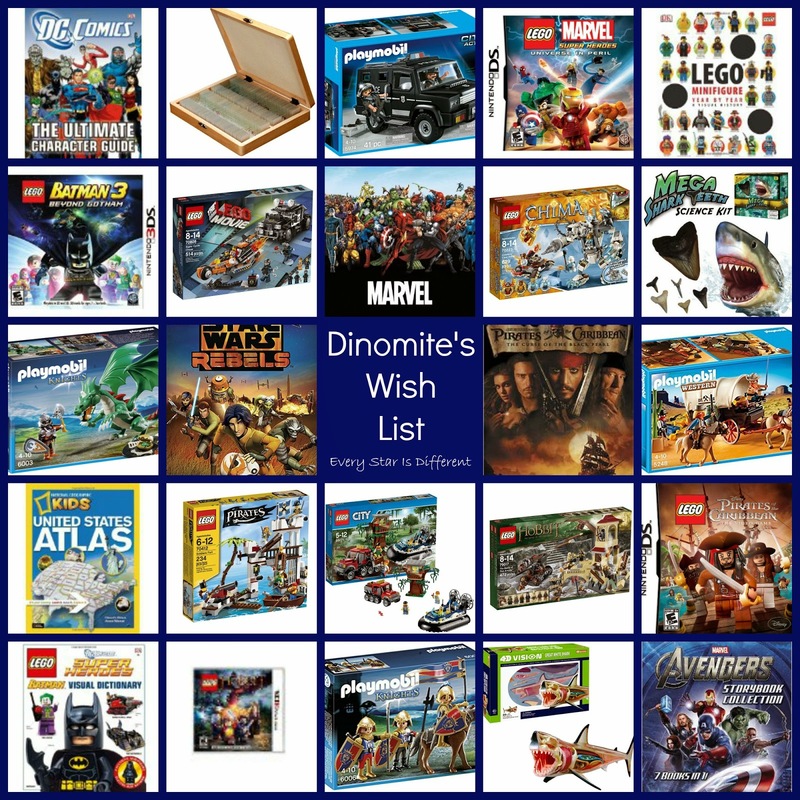 Dinomite and Bulldozer's lists would only include LEGO sets. Secondly, the kiddos have four sets of grandparents! At the end of the day, that's a lot of gifts. In order to provide enough choices for that many people, the kiddos need a long list. Jason and I also use this list. Third, the lists belong to the kiddos. They are welcome to have as many items as they'd like on their list. I encourage it. The more items that are on the list, the more variety there is, selected by them. Variety is always a good thing with autistic kiddos. Lastly, making and sharing these lists, keep the kiddos from saying, "I want...!" every time we go to the store. They don't ask us to buy anything for them. Instead, the items go on this list. (I always make sure I have a notebook and pen in my purse to write items down they mention.) This is sheer bliss for me. It teaches them the importance of waiting for something they really want. When they receive a gift from their wish list, they're much more appreciative of it. When items are purchased from the list, we are notified and the items are removed immediately. Everyone updates their wish lists at least two times a year. Usually this occurs after the holiday season and after the kiddos' combined birthday bash. As you can tell, I'm running a little late this year. 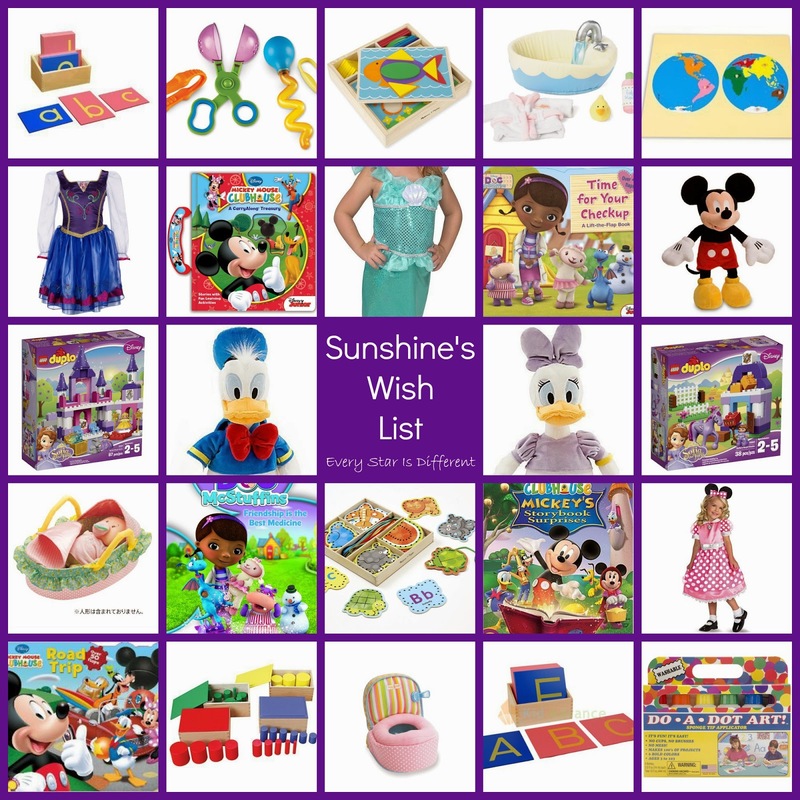 Here are our most recent wish lists! You're welcome to browse through them for gift ideas or to learn more about our family. 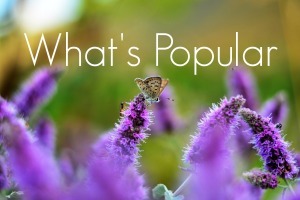 They are being shared on the blog for easy access to grandparents and other relatives. I hope you enjoy! Sunshine is by far the most challenging to buy for right now. She lacks pretend play skills and only plays with LEGO duplos, dress up, and her babies. Her most favorite time of the day is learning time. Sunshine can't get enough of hands on Montessori materials. She also loves books and will jump at any chance she has be read to. Since cable was installed in our home (this winter), Sunshine has fallen in love with Mickey Mouse Club and Doc McStuffins. Safety continues to be a big issue when it comes to Sunshine. She is very destructive with her toys, books, and bedroom items. During learning time, Sunshine is supervised closely, thus providing opportunities to use different materials. However, items in her bedroom and living room must be safe for her and others around her, while she plays. All of the items on this list are Mommy and Daddy approved for safety! Sunshine loves receiving new clothes. She will not wear items with buttons, zippers, and snaps. Recently she's become irritated with tags on her clothes. Sunshine is very slim, so leggings and/or biking shorts are usually the best way to go when looking for bottoms that will fit her. She has a very long torso and usually needs long shirts to cover her belly. We do not permit short shorts skirts, and dresses, tank tops, or sleeveless shirts in our home, due to issues related to sexual trauma, one of our adopted children has experienced. Modesty is always the best medicine! Sunshine currently wears a size 6 in girls. She wears through clothes faster than any of my other kiddos combined, and is always in need of a new outfit! I could shop for Princess all day. She has a wide variety of interests. Her imagination is endless. Princess enjoys all things Disney Princess. Her love for My Little Pony has recently turned into a genuine interest in horses and all things cowgirl related. Not a day goes by that she doesn't play with her LEGO and Playmobil sets. She loves her Disney mini figure set collection and wooden castle as well. Princess LOVES to read. Her reading abilities are incredible. And then there's the adventure side of Princess that enjoys How to Train Your Dragon, Brave, and entertainment that includes adventure and strong female leads fighting for what's right. I just love this about her! Her most recent educational pursuit is the study of the body. I wouldn't be surprised if we have a brain surgeon or pharmacist on our hands. 3. Alfred's Kid's Guitar Course, Complete Starter Pack: Everything You Need to Play Today! Princess always loves a new outfit. She does not like clothing items with buttons, zippers, and/or snaps. Due to her tiny waist, leggings are the best option when looking for pants. If choosing shorts or skirts, always purchase tight biking shorts, or opt for a dress with a matching pair of biking shorts underneath. We do not permit short shorts, skirts, and dresses, tank tops, or sleeveless shirts in our home, due to issues related to sexual trauma, one of our adopted children has experienced. Modesty is always the best medicine! Princess currently wears a size 7/8 in most clothing stores. Her wardrobe is quite small right now, due to her latest growth spurt. Any clothing items are greatly appreciated. She has also asked for a new bathrobe and slippers. Bulldozer's current obsessions include LEGO, Star Wars, superheroes, knights, and dragons. He lives for these things. His educational interests include weather and astronomy. If a toy, book, movie, or video game does not focus around one of these obsessions, the chances of Bulldozer using it are slim to none. That's just the way he is right now. Bulldozer likes to stay in his own world, more than any other autistic child in the house. If you want to spend time with him, develop a relationship with him, and/or be a part of his life in a way that he recognizes you, you must enter his world first. Bulldozer has come a long way when it come to safety and destruction, however he does still have those tendencies. Toys on his list that come with stickers already attached, are safe. We know he will not and can not remove them. If LEGO sets or toys come with stickers to press on, we discard them. Education toys will be kept in the learning time room, assuring their safety and supervision during use. Here's what Bulldozer has picked out! Bulldozer isn't as crazy about receiving clothes as his sisters. However he does enjoy receiving clothes with his favorite characters from Star Wars, DC, and Marvel Superheroes, especially if they are LEGO versions. Bulldozer will not wear any clothes with snaps, buttons, and/or zippers. We do not permit short shorts or tank tops, due to issues related to sexual trauma, one of our adopted children has experienced. Modesty is always the best medicine! Bulldozer wears a size 6 in pants and shorts. However if you have a choice of purchasing size 5/6 or 7/8, go with 7/8. He wears a size 7/8 in tops. Bulldozer is in need of pajamas and socks. Dinomite enjoys all things LEGO, Star Wars, superheroes, knights, and dragons, just like his brother. This is the first time they've both had some of the same obsessions. I LOVE it! Dinomite also loves pirates, emergency vehicles, predatory prehistoric creatures, and animals. He especially enjoys birds and insects right now. Oh, and Dinomite loves reading. Jason and he have been working their way through The Lord of the Rings books by J. R. R. Tolkein. They've already finished The Hobbit. In learning time Dinomite loves zoology, geography, and culture. Dinomite is fabulous at taking care of his things, however he shares a room with Bulldozer. There is never a time that they aren't playing together. The boys are best friends. When Bulldozer is overstimulated or in one of his destruction modes, Dinomite's latest LEGO project has been destroyed a time or two. All learning materials are stored in the learning time room, to ensure safety and supervision. Moving on to Dinomite's list! Dinomite's not one to get excited about clothes, unless it's pajamas. Lol. He will not wear any buttons, snaps, or zippers. We do not permit short shorts or tank tops, due to issues related to sexual trauma, one of our adopted children has experienced. Modesty is always the best medicine! Dinomite wears a size 8 pants and a size 9/10 top. He's always in need of shorts, pants, and pajamas. Relatives, (especially grandparents) became so accustomed to the kids' wish lists, that they requested wish lists for Jason and I. It's probably a good thing, because quite honestly, Jason and I rarely think or buy anything for ourselves. When we do decide to buy something for one another, we always use each other's wish lists. If we're given cash or gift cards to places where items for children are sold, the gifts are never used on ourselves, and instead used to pay bills or to buy things the kiddos need. For your enjoyment and pleasure, (and for those who have asked for them), here are Jason's and my wish lists. As you can tell, Jason and I don't want for much. When we think of things, we add them, but for now, this is what's on our minds. Here's to Spring 2015 wish lists!